LAKE LOS ANGELES, Calif. (KABC) -- Three white supremacists were arrested on Sunday after committing hate crimes against minorities, according to the Los Angeles County Sheriff's Department. 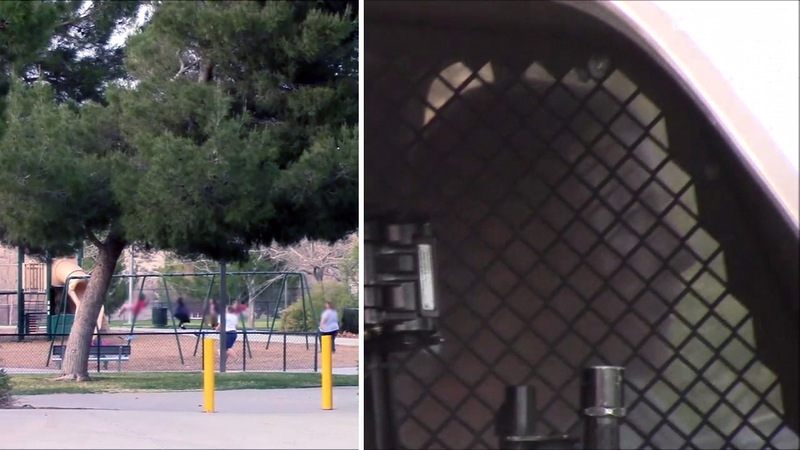 Deputies said the three suspects began harassing and assaulting two males and a female at Stephen Sorensen Park in the 16800 block of E. Avenue P in Lake Los Angeles at about 4:30 p.m. The victims were Hispanic, according to officials. The sheriff's department said another family tried to intervene and the white supremacists pulled out knives and attempted to attack them. Deputies said the suspects screamed numerous racial slurs and the Confederate flag was present during the incident. The men, described as white males in their late teens and early 20s, ran from the park when they saw deputies were called, according to officials. Deputies said they caught the suspects in the middle of the desert. A freelance photographer told ABC7 one of the suspects yelled racial slurs at him when he attempted to film the white supremacists detained in the back of a patrol car.